Since April this year I am emailing for Muslim pro team to correct the mistakes that i have found in hyphenation. I have found three!! and the especially the famous verse from Surah Rehman 'Fabi-ayyi ala-i rabbikumatukaththiban' is wrong at every place!!!!!! Below are texts of my emails from 3 different mistakes! 1. Request #102096 ::: Error in arabic 'zair'. In surah al Asr the third Ayat (103:3) word 'bilhuqqa' is wrong. It should be bihuqqi. The zair should be below the letter Quaff. 2. Request #116221 ::: English translation of 18:24 'if Allah wills'. The correct usage needs an 's' with 'will'. @wasif, in many cases, the rendering of Arabic fonts on various devices can cause these errors. The latest versions of Muslim Pro for both iOS and Android now include a larger choice of Arabic font and I believe selecting a different font should help you make sure that the text of the Quran is displayed properly on your phone. 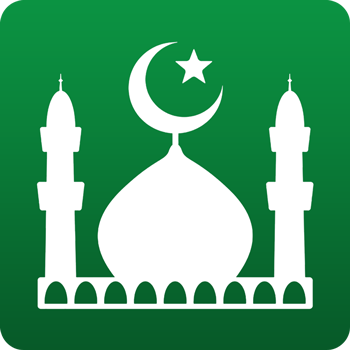 The entire text of the Quran, as well as all the translations, used in the Muslim Pro application are provided by the Tanzil online collaborative project. We do not edit any of their content. Please check online Quran on the Tanzil website and verify if you observe the same error as on your device. - If you do, feel free to double check with your religious authority, scholar or imam and contact the Tanzil team directly through their website. - If the error only occurs on your device or in the Muslim Pro application, please note that it is usually do to the rendering of the Arabic characters on certain devices. You may want to start by selecting a different Arabic Text option (default, no diacritics, uthmani) in the Quran Translations menu of the Muslim Pro Settings. - On Android devices, you can also try various Arabic fonts to see which one gives you the best result on your specific device (from the same Settings menu). - Finally, please note that we are aware that the first characters of every verse (or line) are truncated on some Samsung devices. This problem is due to the Arabic character rendering engine used by Samsung but we are trying our best to find a solution as soon as we can. Many thanks for making the corrections and replying to me in detail. I have checked Tanzil a few days back after your email. In deed the mistakes are there too. I have contacted the email at their webpage and awaiting a response. I have compared to other webpages and there are certain verses that are memorized so i am pretty sure about the errors, i understand that you also know as you have made the correction, thanks again. I also checked on different computers (Windows 7 and iOS) but it persists. Perhaps it is all our duty to get the attention of the management of Tanzil as typos and errors must be corrected as soon as possible. I am sure Tanzil will take your email seriously as you use their version in your app even if they do not reply to me. As-salamu Alleykum va Rahmatullah brothers and Muslim pro team. I found mistake in Russian language of Holy Quran, please change it. With mistake: 7. Воистину, все, что есть на земле, Мы сделали украшением для нее, чтобы испытать людей ивыявить, чьи деяния окажутся лучше. Correct translation: 7. Воистину, все, что есть на земле, Мы сделали украшением для нее, чтобы испытать людей и выявить, чьи деяния окажутся лучше.